Captain Underpants is a series of superhero novels featuring loads and loads of potty humor, and it’s something I have fond memories of from my childhood. When I was first dating Katrina I was surprised to find out that Captain Underpants was her little brother’s favorite books. Who knew they would still be around after 20 years? The most popular book series at the Scholastic Book Fair is not only still popular with elementary schoolers, it’s the inspiration for a feature-length animated film released by DreamWorks Animation. My first big fear about this movie when I saw the trailers and posters was that it was CGI. 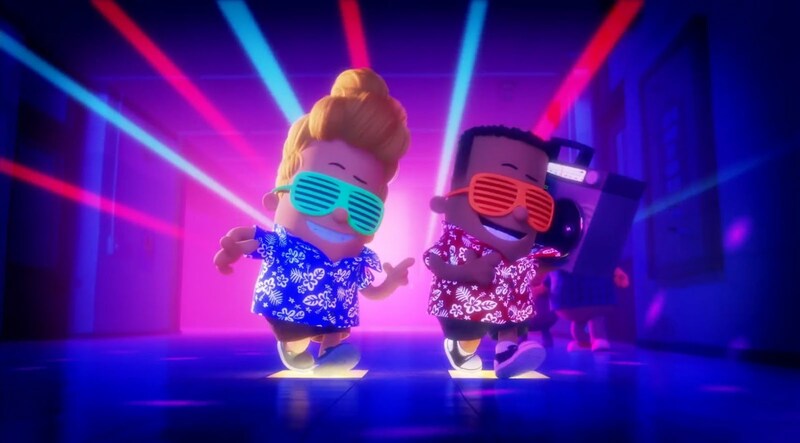 Aside from the overabundance of CGI that looks the same in all kids movies, Captain Underpants captured a sense of childlike wonder on the page that would’ve been better suited for a 2D style animation inspired by George and Harold’s comic books. I went in expecting to only see that sort of thing in the end credits. However, I was thoroughly surprised to see 2D doodle style scenes takeover the opening prologue and several other sequences throughout. And the 3D animation doesn’t have the “looks the same in all kids movies” problem. Certain effects, like wind wooshes and sweat beads, actually have a weird 2D look to them. There’s even a weird live-action puppet scene with crazy backgrounds. The humor is what really drives the plot of the movie. Literally. It’s a major plot point that George and Harold’s friendship is defined by their joined sense of humor and comedy stylings, which is what makes them such great friends. I really expected the film to go down usual buddy movie route with them getting in a fight and splitting up or something. However, the main arc was actually about the two being torn apart and finding each other again. And even when their sense of humor is literally destroyed, their bond is strong enough to unite them together in the one thing that can never rip them apart: their love of toilet humor. Interestingly, the movie finds a good balance when it comes to its use of toilet humor. The books get an undeserved bad rap when it comes to this. The covers and titles and main plots usually involve some kind of farting man or poop monster, but I don’t remember the books being nonstop potty jokes. The film captures this perfectly, with only certain sequences dedicated to precise, well-crafted jokes. In fact, there are some self-aware moments where George and Harold are called out and even reference their dependence on jokes about vomit and poop. 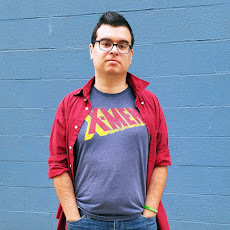 A movie about a superhero in his underwear who fights a giant toilet controlled by a guy named Poopypants could’ve easily had some really, really bad jokes. 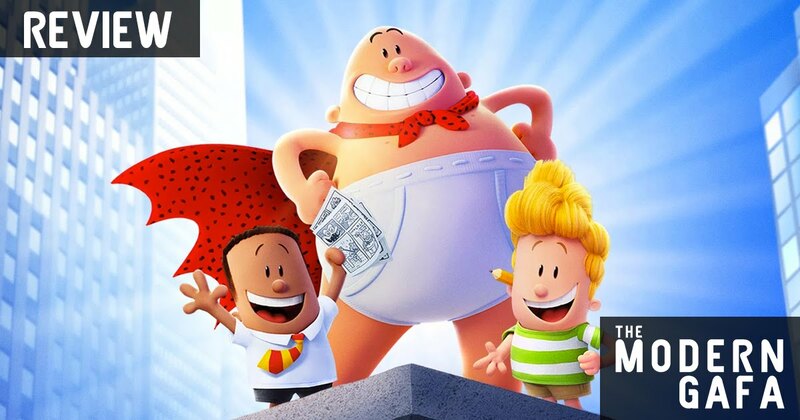 Captain Underpants had me laughing throughout with its perfectly timed, but not overdone, fart jokes. And of course, there are plenty of “jokes only adults would get” that you see in all kids movies these days. While this film is definitely “made for kids” it’s not something older fan of films like The LEGO Batman movie wouldn’t love. Captain Underpants is a fantastic film that doesn’t fall into any of the problems plaguing modern kids animation. Its art style is unique and not without its own creative twists, the story of two friends united by laughter is full of heart, and the self-aware treatment of the franchise’s well-known potty humor makes it one of the best films about a guy wearing underwear that has ever been made. Get Captain Underpants on DVD or Blu-Ray today.